The microblogging service Twitter has launched Periscope which will enable its users to broadcast live videos instantly using their smartphones. 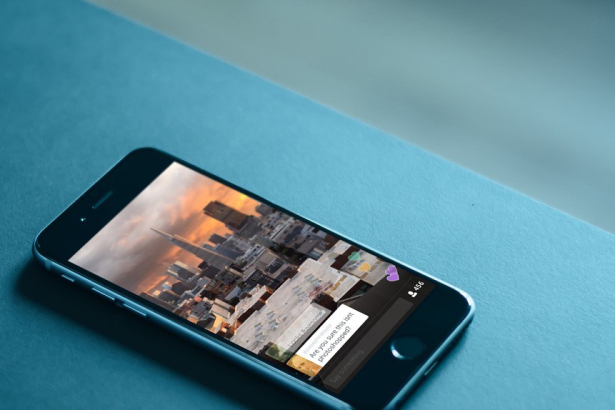 The service is currently launched for iOS platform called Periscope was acquired by Twitter in January 2015 and this app was in its development stage even before that. With the launch of this app, the another popular live streaming app for mobile platform called Meerkat faces strong competition. The interface of the Periscope app is clean and simple. Anyone can easily combine shots and start their broadcast. This service uses the phone’s camera and its microphone. There is no size limitations on the video. Also, a broadcaster can notify the twitter followers when a new stream is presented for live viewing. Periscope app allows to share live streams either publically or with a specific target group. We can make our own custom groups. To broadcast to specific people or group, just tap a lock button before sharing. Along each stream you can choose to share video, audio and location information. The viewers of the stream can comment back to present their views. There is a option to tap a heart symbol to indicate the broadcaster that a video stream is liked by the user.Thus, the most liked videos will be ranked high and watched frequently. What makes it different from Meerkat:The Meerkat app is a similar video streaming app that lets you share videos on twitter. The Periscope app has additional features like chat, multiple likes, save videos to watch later up to 24 hours and line up the videos in proper order before broadcasting. All these features along with the easy to use interface makes Periscope a better choice. Periscope chats are not published to twitter and these chats can be viewed while replaying a video. The option is available to delete chats and save video records being shot. Twitter recently restricted Meerkat to use its social graph feature. The Periscope app unlike Meerkat is a standalone app which maintains the privacy of likes and comments by keeping it separate from twitter streams. The Android version of the app is being developed and will come in a few months span.Twitter made the Periscope app available in advance to Silicon Valley investors, Twitter staff members and some public figures. Although some video streaming apps are already present and being used widely, the pre-launch review of Periscope indicated that it has a better performance over other apps with quick and reliable connectivity and high quality of stream content.